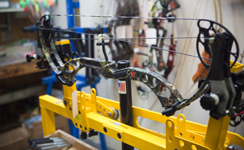 Gator Guns &amp; Archery Center features a gunsmith on the premises as well factory certified archery technicians. We can service your equipment better than anyone! If you would like more information on our services, please fill out the form to the right or call us at 561-683-1411.